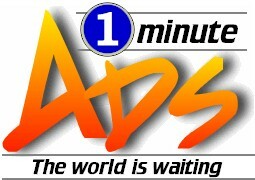 1 Minute Ads is a best-seller. 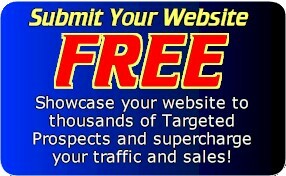 People love it.Get in early, tell others where to get free advertising and watch your commissions add up. Earn 20% commission on all sales generated through your affiliate link. Earn $39.40 on platimum lifetime advertiser sales, $3.99 on Gold Memberships, $2.00 month on additional url purchases and monthly text ad purchases. Earn 25% commission on all sales generated through your affiliate link. Earn $49.25 on platimum lifetime advertiser sales, $4.98 on Gold Memberships, $2.50 month on additional url purchases and monthly text ad purchases. Earn 30% commission on all sales generated through your affiliate link. Earn $59.10 on platimum lifetime advertiser sales, $5.99 on Gold Memberships, $3.00 on additional url purchases and monthly text ad purchases. Earn 40% commission on all sales generated through your affiliate link. Earn $78.80 on platimum lifetime advertiser sales, $7.98 on Gold Memberships, $4.00 on additional url purchases and monthly text ad purchases.